Bachelor also entered and took first place in the Student Research Poster Competition with his research project titled “Ohio: The Midwestern Ag Mediation Holdout.” Bachelor discussed the potential for Ohio to become one of the last midwestern states to engage in USDA’s Agricultural Mediation Program. Bachelor is a third year law student at OSU’s Moritz College of Law and Alexander is a second year law student at Capital University Law School. Both hope to work in the agricultural law arena after law school. 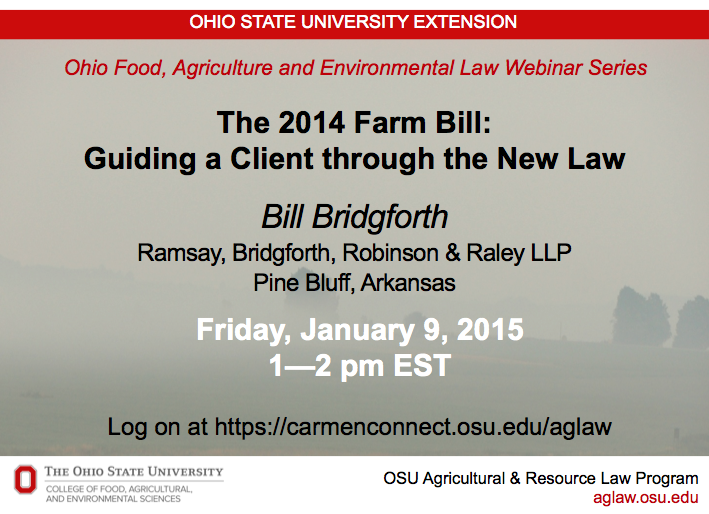 Attorney Bill Bridgforth will present OSU’s next webinar on “The 2014 Farm Bill: Guiding a Client through the New Law” on Friday, January 9 at 1 pm EST. Bridgforth is a senior partner in the Arkansas law firm of Ramsay, Bridgforth, Robinson & Raley, LLP who represents agricultural producers around the United States. He will explain the election decisions producers and landowners must make under the new Farm Bill and will provide examples of decision making impacts. There is no registration or fee required for the webinar, which is accessible at https://carmenconnect.osu.edu. A recording of the webinar and a listing of additional webinars is available at aglaw.osu.edu. 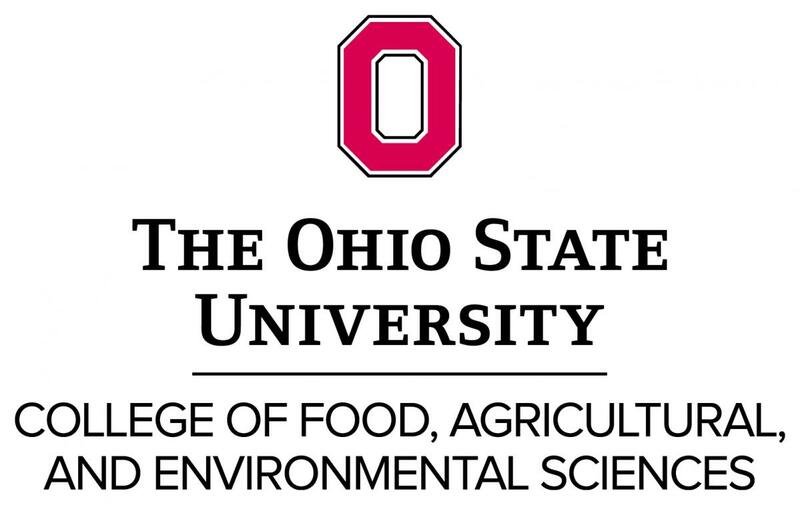 The Ohio Food, Agriculture & Environmental Law Webinar Series is an outreach project of OSU Extension’s Agricultural & Resource Law Program. The focus of this year’s program is representing Ohio’s farm and agri-business clients. Two nationally respected practitioners will teach for the Symposium. Allen Olson from Albany, Georgia, who has farm clients throughout the southern states, will provide guidance on representing farmers in crop insurance disputes and will also share his outlook on federal farm bill policies. Cari Rincker of Rincker Law Office in New York, NY, whose client base is spread around the country, will speak on protecting the farm client’s business by managing contracts, intellectual property and employment concerns. Law students interested in attending the Symposium may apply for student scholarships provided by the Paul L. Wright Chair in Agricultural Law Endowment Fund at Ohio State. 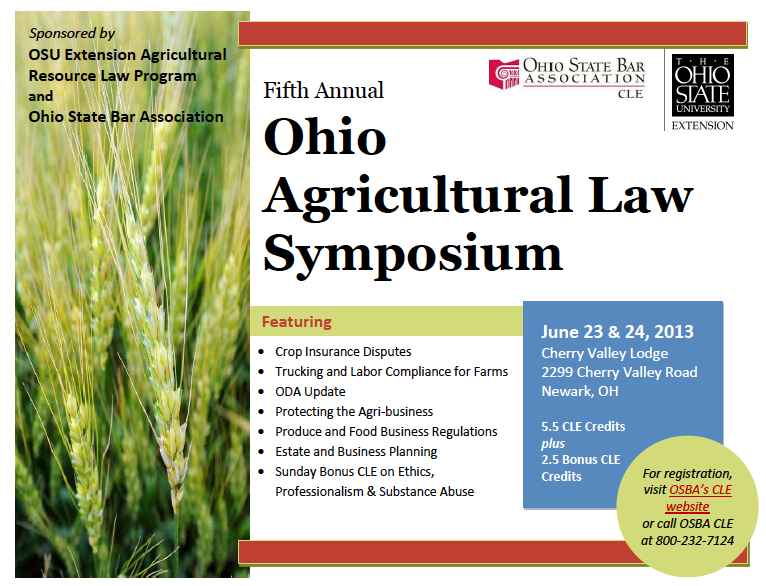 Contact Peggy Hall at aglaw@osu.edu for scholarship information.